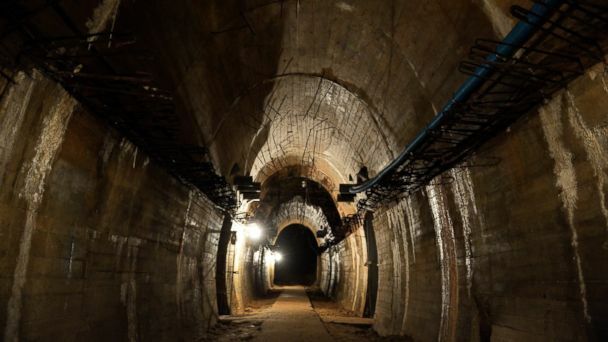 Searchers in a remote, wooded area of southwestern Poland have begun to dig for a Nazi "ghost" train believed to be full of looted gold, gems and other treasures. The train is said to have vanished within a labyrinth of secret tunnels near the end of World War II as the Germans fled advancing Soviet forces, according to Polish folklore. The train is believed to contain millions of dollars worth of artwork, documents and artifacts, in addition to the gold. The dig, located in Walbrzych, is expected to last several days, according to The Associated Press. A spokesman for the search team said six independent companies used various radar devices to detect anomalies indicating the shape of an underground tunnel. Historians warn that such a train may have never existed, but Polish officials announced last August that two men claimed to have found it. "We believe that a train has been found," Marika Tokarska, the district governor of a southwestern Polish district of Walbrzych, told the AP last year. "We are taking this seriously." The men -- one from Poland and the other from Germany -- wished to remain anonymous and sought 10 percent of the value of the train's contents in exchange for revealing its location, Tokarska said. By November, locals in Walbrzych had begun to take advantage of the rush of tourists and treasure hunters in the area by selling mementos with gold train references. The train went missing in May 1945 after it entered a series of tunnels under the Owl Mountains, according to Polish folklore. The secret tunnels, which were never finished, were part of a Nazi project known as "Riese," or "Giant." The area of tunnels belonged to Germany then but is now part of Poland. ABC News' Avianne Tan contributed to this report.